An argument over a passenger landed a minibus tout before a city court on Thursday, when he was charged with wounding a rival, whose thumb was severed in the clash. 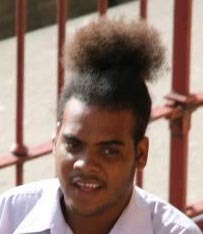 Devon Charles, 23, of 462 Werk-En-Rust, appeared before Chief Magistrate Ann McLennan on the charge that on May 20, at Longden Street, Stabroek, he unlawfully and maliciously wounded Leon Hinds, with intent to maim, disfigure, disable or cause bodily harm. Charles, upon the prompting of his attorney, Paul Fung-A-Fat, pleaded not guilty to the charge. Police prosecutor Arvin Moore told the court that an argument over a passenger ended in a scuffle between the two. As a result of the scuffle, Hinds sustained chop wounds to his head, which bore three stiches, as well as his left arm and fingers. Hinds told the court that his thumb was severed but it was reattached. With no objection from the prosecutor, Charles was later granted his release on $90,000 bail. He was also ordered to remain 50 feet away from Hinds, to lodge his passport and not to communicate with Hinds or any other witness in relation to the matter. Charles will make his next court appearance before Magistrate Leron Daly on June 16.